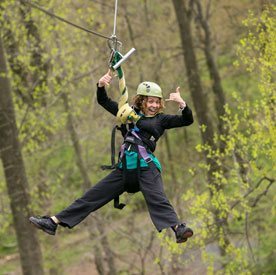 Posted in Amish Blog on February 14, 2018 by Jen Lewis . When visiting Lancaster County, the Mennonite Information Center is a great location to learn all about the Amish and Mennonite’s culture and faith. Some of the services offered by the Mennonite Information Center include a personalized tour of the Amish Country, a new movie called “Lancaster Amish”, and the Biblical Tabernacle Reproduction (a full-size reproduction and explanation of Moses’ temple in the wilderness). Yesterday, we had the opportunity to ask Roy Bender, interim director of Mennonite Information Center, if he would share some of his book recommendations with us. 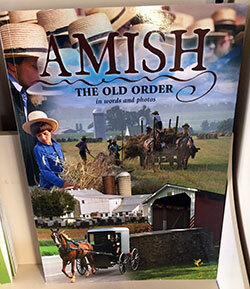 With the exception of Becoming Amish and Amish Grace, all of these books are less than 100 pages and designed to help the reader learn about Amish culture. The true story of Bill and Tricia Moser, who were living in one of America’s wealthiest communities, Grosse Pointe, Michigan, when they stepped away and began a journey that led to an Amish horse-and-buggy life, immersed in Amish grace. On Monday morning, October 2, 2006, a gunman entered a one-room Amish school in Nickel Mines, Pennsylvania. In front of twenty-five horrified pupils, thirty-two-year-old Charles Roberts ordered the boys and the teacher to leave. After tying the legs of the ten remaining girls, Roberts prepared to shoot them execution with an automatic rifle and four hundred rounds of ammunition that he brought for the task. Sensitively answers the most common inquiries about Amish and Mennonite peoples. Authoritative, sympathetic, and thorough. 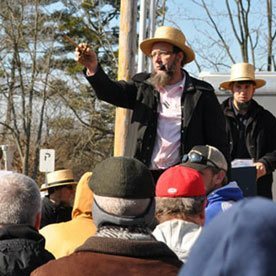 20 Most Asked Questions looks at origins, dress, pacifism, education, weddings, funerals, and food, as well as many other facets of Amish and Mennonite life. The Anabaptists of North America sport an amazing spectrum of religious and cultural diversity—from communal Hutterites to urban Mennonites, from low-tech Amish to acculturated Brethren. New members with Asian, African, and Hispanic cultural roots add spice and color to traditional Anabaptist ways. The Amish are one of America’s most fascinating and colorful religious communities. But how does a traditional group that shuns high school, computers, and the ownership of motor vehicles survive amid a high tech society? The Mennonite Information Center offers all of these books (and many others) for purchase in their book and resource center.